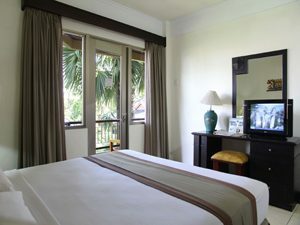 The Jayakarta Bali Hotel is situated in lush gardens and located right on Legian Beach, famous for its sunsets. 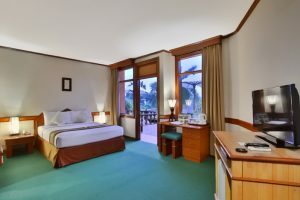 While offering peace and tranquility, this Bali hotel is also within walking distance to shopping and entertainment areas. 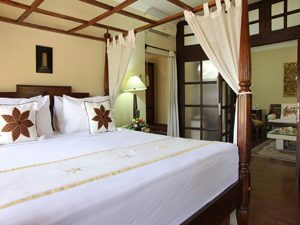 Bali’s many noteworthy attractions are within easy reach from this Bali resort and offer more than a casual glimpse of the “Island of the Gods”. 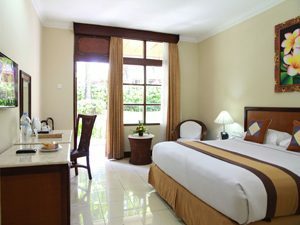 For those who intend to stay in Bali a little longer, Jayakarta Residence provides you with all the comforts of home with all the benefits of a resort. 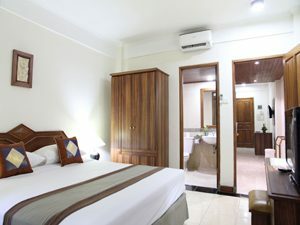 Located adjacent to The Jayakarta Bali, residence tenants are able to enjoy the hotel’s direct access to the beach, spacious gardens and its many swimming pools and restaurants. From I Gusti Ngurah Rai International Airport about 10 km, 25 minutes driving. From Gilimanuk Harbour about 135 km, 210 minutes driving.